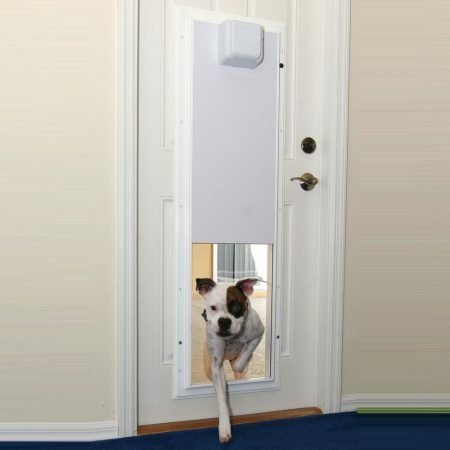 Hale Pet Door™ Vinyl Flap Wall Model is self-framing and self-supporting. This design makes it adapt to fit any opening cut into an interior or exterior wall – whether it is standard construction, stucco, block or masonry walls. 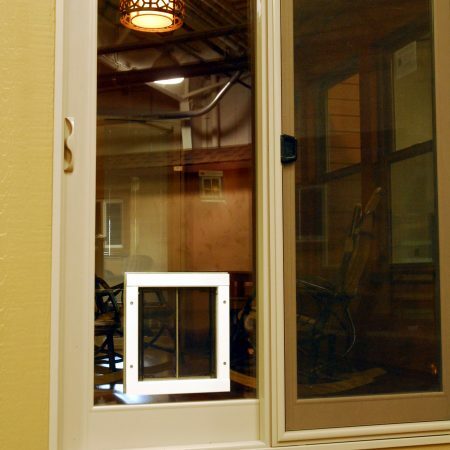 Our energy efficient doors stand up to all the elements. Whether the temperature outdoors is blistering hot or biting cold, Hale’s quality design and construction gives greater protection from wind and unwanted critters. 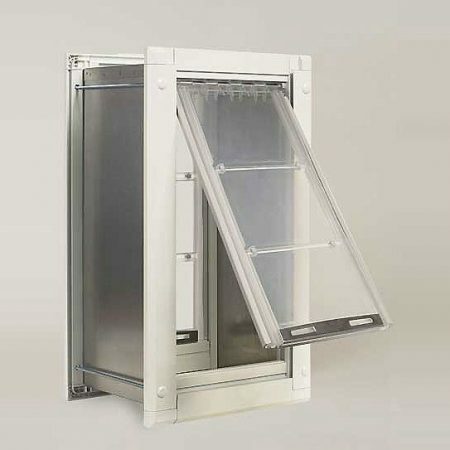 Our Wall Model comes standard with double flaps, there are many options available when ordering i.e., 11 sizes, four colors and Load Direction. 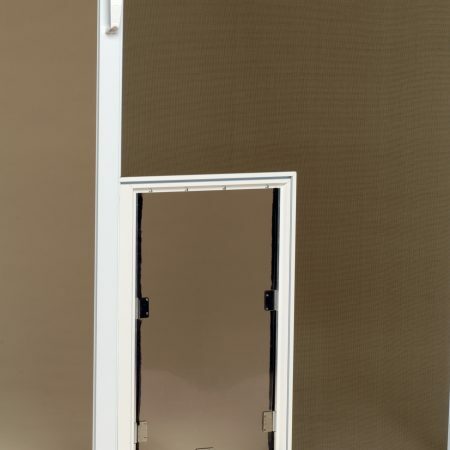 The Wall Model is available in 11 standard sizes. Please see the Size Chart below. 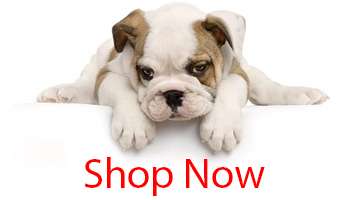 To measure your pet correctly for your pet door go to our FAQ’s page. Choose your size from the drop down box. Pick one frame color for your pet door or pick two and get a different color for the interior and the exterior. 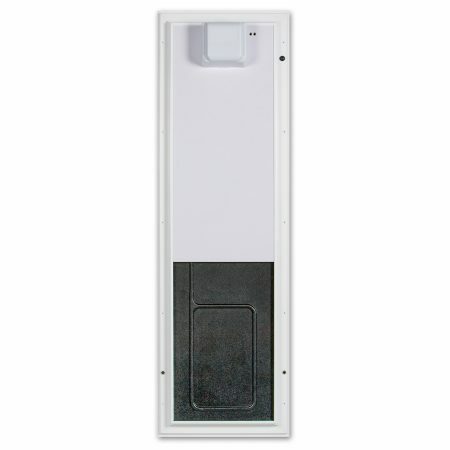 All doors come with 3 choices of direction for the insert of the security panel. You can choose the standard top load, a right load or a left load. The right or left load work great under a window. 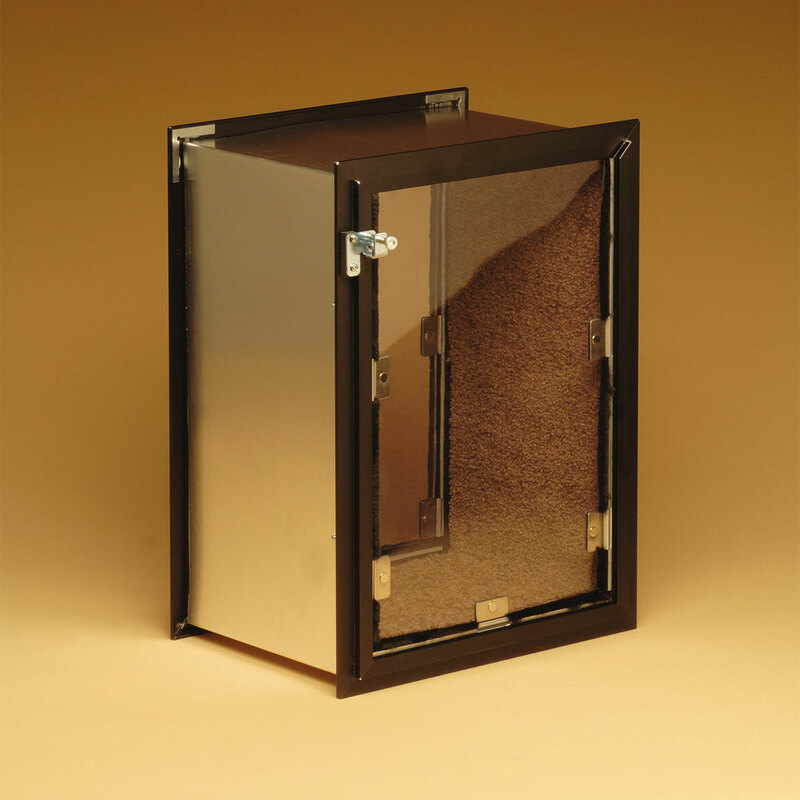 Our Wall Model comes with a standard 10″ tunnel to fit walls between 2″ and 10″ in size. 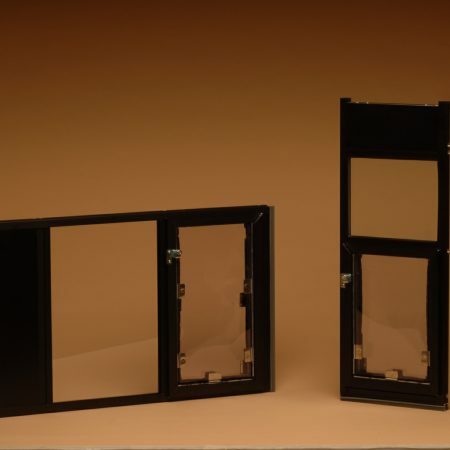 We offer an optional oversize 16″ tunnel for deeper walls.